My new and improved “Portland Dining Guide” with the Vessel map is here! 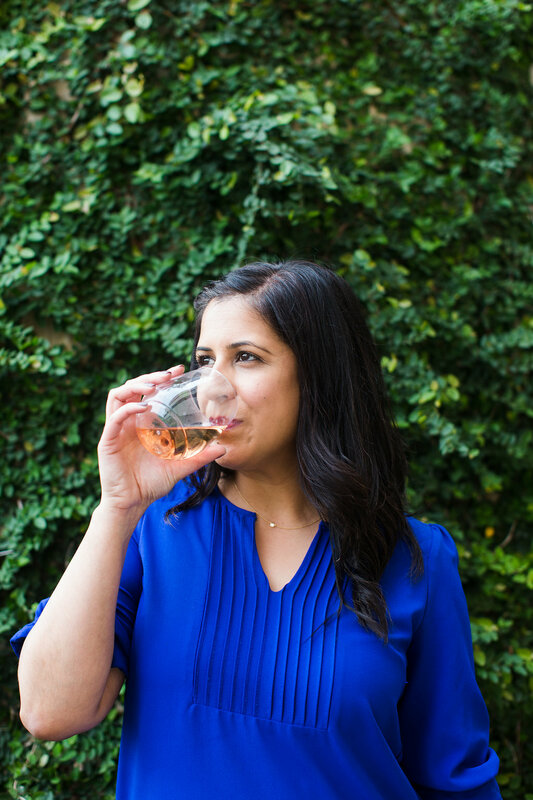 Hope it’s super helpful in planning your foodie adventures with my pics! I finally went to Portland – it’s been high on my list for years and we took the plunge and planned a trip there! 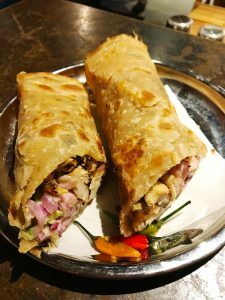 Of course, PDX is known for the food scene in addition to the brewery and vineyard and coffee scene, so I had a rather lengthy list of spots to hit up in the 4 days we were there. Here are some highlights and feel free to message me if you want more details! 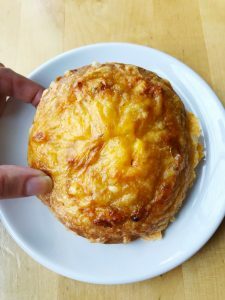 Cheddar Corn Biscuit was perfectly flaky and savory! 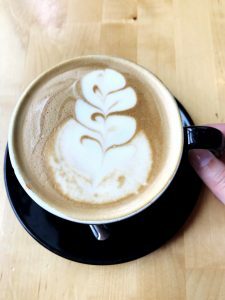 Honey Vanilla Almond Latte – love the coffee bean in here! 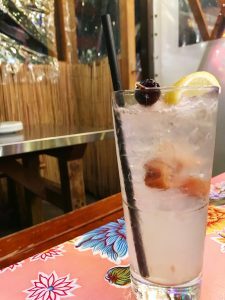 Order a Salted Plum Vodka Collins – it’s heavenly! 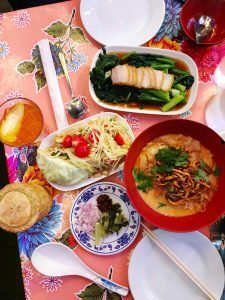 Chinese Broccoli with crispy pork belly (top), Papaya Salad PokPok (left), Khao Soi (right) – you’ll love them as much as we did! 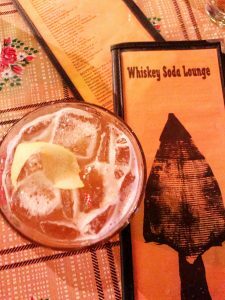 While you may have to wait to get seated at Pok Pok, hop on over to Whiskey Soda Lounge and order a Lord Bergamot – you can thank me later! 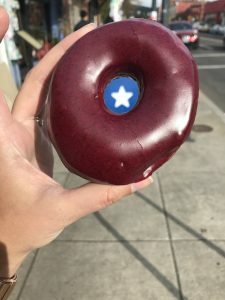 Blue Star Donuts – leave room for a donut or two – you’ll regret missing out! No visit to PDX is complete without a Blueberry Bourbon Basil donut! 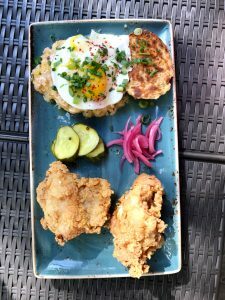 Fried Chicken – you had me at fried chicken – and then you add a jalapeno cheddar biscuit and an egg – woah! 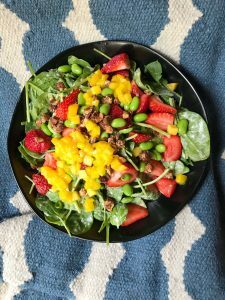 The most perfect Strawberry Salad with mango, edamame, spinach and a citrus vinaigrette! 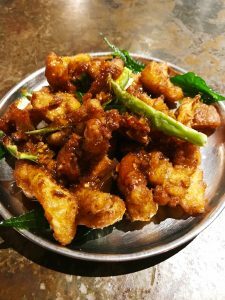 The Gobi Manchurian was super delish! 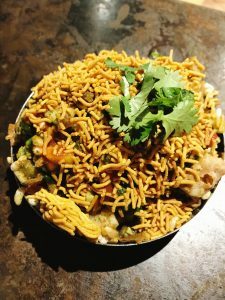 Don’t leave without some Bhel Puri! 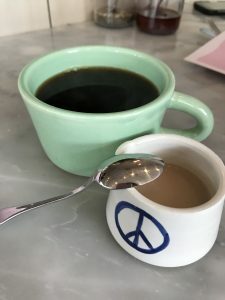 The cutest coffee mug with HEART coffee and a side of toasted almond creamer — y’all they offer that free of charge! 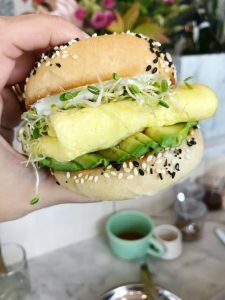 The Breakfast Sandwich with avocado comes on an soft sweet onion roll – this will have you swooning! 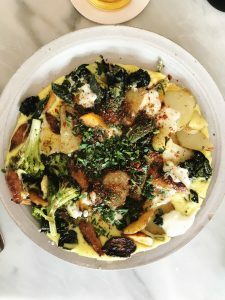 Frittata with potatoes, zucchini, cheese curd, broccoli and cumin – holy wowzas! 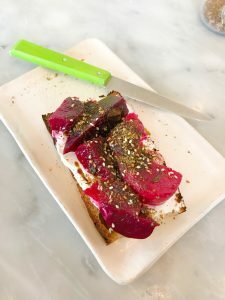 You can’t leave without devouring this Toast with Beet and Labneh! 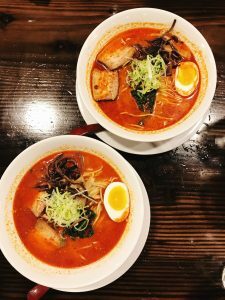 Pork and Chicken Ramen b/c rainy Portland nights! So as you can see, there is a ton to eat in Portland – we didn’t even make a dent. Hope you’ll enjoy all my recommendations and feel free to suggest some of your own for my next visit! This entry was tagged atxbitesvisitsportland, beer, bollywoodtheater, brewery, commonsbrewery, craftbeer, cremacoffeeandbakery, food, foodie, lechon, pdx, pokpok, portland, travels, tuskpdx, whiskeysodalounge. ← Old Thousand – dope Chinese now available for lunch!